Calling the launch of iOS’s built-in Maps app “underwhelming” might be generous. While I’d argue that Apple’s mapping efforts aren’t as bad as many people think, Google has certainly provided some stiff competition in the form of its Google Maps app for iOS. It can match many—but not all—of the features of Apple Maps, and Google’s databases of location information are arguably superior. There’s a reason we put it on the list of our apps that can replace iOS’s defaults on your phone. In the video above, I take you on a quick walkthrough of the basic features of Google Maps, including location searching, business information, and directions—including one of its distinguishing features: public transit directions. 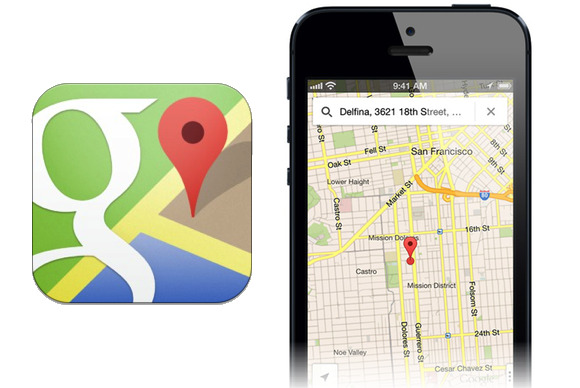 Note that while Google Maps is currently only available on the iPhone and iPod touch, Google announced last month that the app would arrive on the iPad this summer. Google Maps requires iOS 5.1 or later. If Apple Maps aren’t quite cutting it for you, or you miss easy and convenient public transportation directions, then the free Google Maps app for iPhone might be right up your boulevard. Like its built-in iOS counterpart, Google Maps lets you search for locations all around the world, as well as plot out directions to and from those places. Just tap the search box and enter an address, a specific place, or a type of location—like “restaurants.” There’s even a quick search bar that lets you easily locate certain types of places without having to type. If you search for a business, the info panel at the bottom will give you information about it, including Zagat reviews of the place, and in some cases hours, menus, or even a 3D walkthrough of the location. Using your Google account, Google Maps can also store your home and work addresses, save bookmarks that sync to Google Maps on the Web, and show you search results from your contacts. In addition to providing full turn-by-turn driving directions with spoken instructions, Google Maps provides excellent public transit directions, including offering multiple routes and the ability to select only certain types of transit. It’s one feature that Apple’s Maps still can’t quite match.